Want to show off your nautical wedding style? 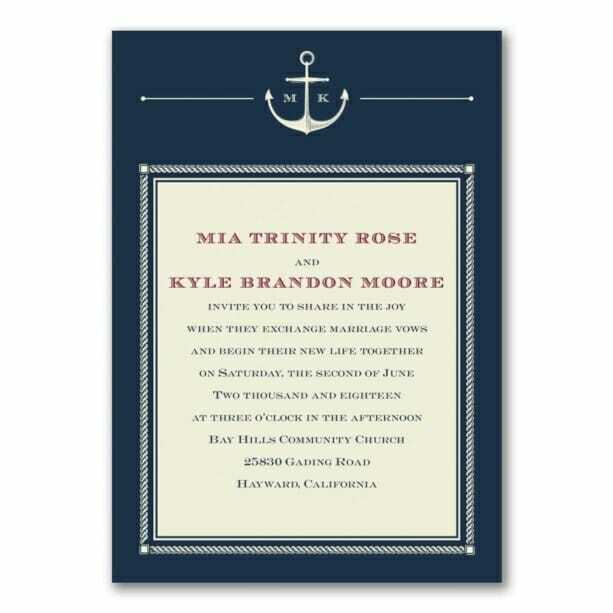 It’ll be smooth sailing when you send these ecru, nautical-design wedding invitations. You choose the colors!